This gift card can be used in-store and over the phone. Lavish Spa vouchers offer a portfolio of spas and beauty salons, including many well-known locations such as Grayshott Spa, PURE Spa, Armathwaite Hall, and Handpicked Hotels. Lavish offers a gift of choice that lets you enjoy spending your voucher in exactly the way you please. Whether you are seeking a full day at a spa being pampered, a simple manicure or relaxing massage, a Lavish voucher has it covered. 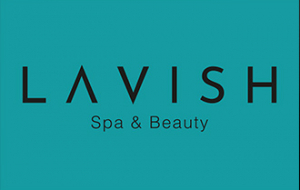 Simply browse the Spa & Salon Directory at www.lavish.co.uk to view the choice of venues where your voucher can be spent. Once you have found your perfect treat, just call up and make an appointment for the pampering experience of your choice and quote your gift voucher code. For more information about please read the terms & conditions.